Swiss rockers Death By Chocolate have clocked up a number of significant milestones in recent times, performing with Bon Jovi at Letzigrund Stadium, Zurich, Switzerland, at Woodstock in Poland, and at the EXIT Festival in Serbia. 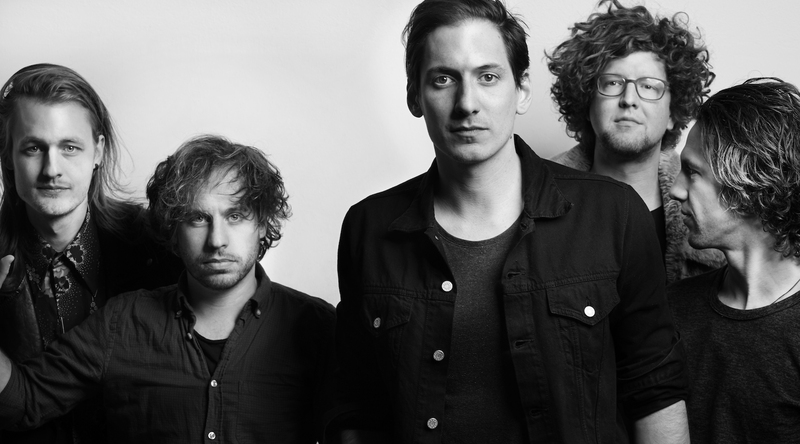 Back home they were nominated by the Swiss Music Awards in the category “Best Live Act 2015”. Alongside the highlights there have been long periods of hard and intense work. Their first album FROM BIRTHDAYS TO FUNERALS and their current work AMONG SIRENS (producer Ronald Bood, Mando Diao) are worlds apart, not so much in terms of the musicianship but rather in the rapid transformation of the band from newcomers to self-confident group with a purpose. AMONG SIRENS delivers a courageous, rough, no-messing rock sound. The songs reflect the determination of the band’s five members to create Death By Chocolate’s particular own brand of rock music. There’s no doubt that the evolution from emerging band to accomplished musical troupe evidenced by maturity of their second album, can be attributed in part to their more than 100 live appearances in both Switzerland and abroad where they have made some fairly influential international appearances such as a spot at Whisky a Go Go in LA, as well as playing several European tours including one with The Blue Van in Denmark. More recently they broke into the Swiss top 10 album charts and were chosen by national radio station SRF3 as BEST TALENT. In Spring this year they were awarded the Ultimate Industry Package at the Rock Summit in LA which goes hand in hand with an album release now scheduled in the United States, along with the release of the single ALFRED. This represents a huge step for the band from Biel in Switzerland, although it’s not entirely unexpected. The band has come a long way on their musical journey; the Death by Chocolate brand of rock is now authentic, punchy and uncompromising. What’s their aim? “To shake, stomp and rock stages all over the world, and blow some minds and ears”. There’s no doubt they’ll be reaching a few more milestones very soon.